I recently released an article where I listed 5 Steps to Take NOW to Make This the Best of Times for Your Organization. In it, I stressed that the first step to making tangible progress for your business is selecting the right person to lead the Industrial IoT project that you implement. This step carries major consequences if taken lightly, because your selection will have lasting effects on all facets of your Industrial IoT project. 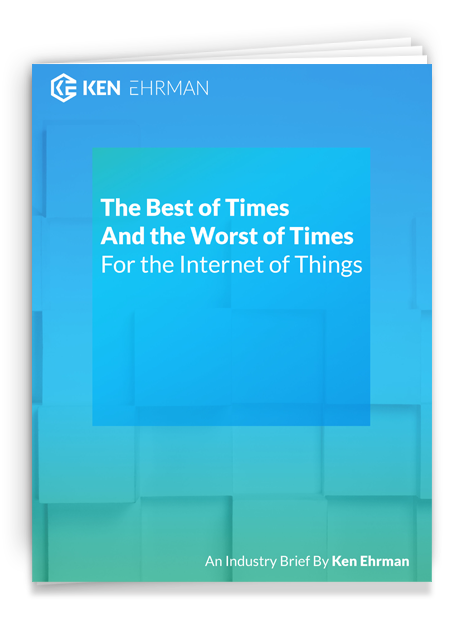 In a recent survey, 67% of companies have yet to begin implementing Industrial IoT (IIoT) solutions in their business (Pittman 2017)—resulting in major issues as competitors optimize their own operations with state-of-the-art solutions. However, incentives like reduced expenses and increased ROI are now driving companies to adopt IIoT in droves, with 74% of those companies planning to implement their first IIoT solution by the end of the year (Pittman 2017). Shifting industry regulations like the upcoming ELD (Electronic Logging Device) Mandate are also pushing corporations to quickly implement IIoT solutions (Omnitracs 2017). Between possible or impending mandates, benefits for your company, and the need to stay ahead of your competition, there is no reason to wait to launch your IoT solution. You may even face major hurdles if you wait, falling behind your competition and scrambling to meet all requirements for the next major mandate that affects your industry. Choosing the right person to lead your Industrial IoT project is essential to its success AND your company’s ability to cut costs, increase ROI, and stay ahead of your competition. Select someone who understands industry trends in IIoT and can apply them appropriately to your business. Do you need satellite, cellular or WiFi? Where will the industry be in 5-10 years? They do not have to be an engineer, but the project will need to be forward-thinking to ensure it can have a lasting effect on the business. The project should positively affect the experience of your customers. Make sure to select a leader who is customer-oriented, considers customers’ needs, and ensures the project enhances the customer experience wherever possible. Your project leader must understand financial planning and P&L management. The project must quantifiably save the business money, so properly accounting for the dollars saved is critical to selling the project as it progresses. If there is no money saved, it is not a good project—or is at least being managed poorly. No matter what task is automated, there should be measurable and quantifiable savings, and the right leader must be able to account for them. The leader should be data oriented—someone who relies on data to make decisions, not just “gut feel”. It’s hard to argue with data, so this skill is crucial. A leader who knows how to look for and articulate the data used to justify the project will be the right person to lead the project. Your project leader should have a heavy operations background, understanding exactly how your business is conducted today, down to the littlest (and often most important) details. By being armed with the details, the project will be properly focused on automating the right tasks—ideally, tasks that are mindless and prone to user data entry errors, but which have a significant impact on costs, quality, revenue, or customer satisfaction. 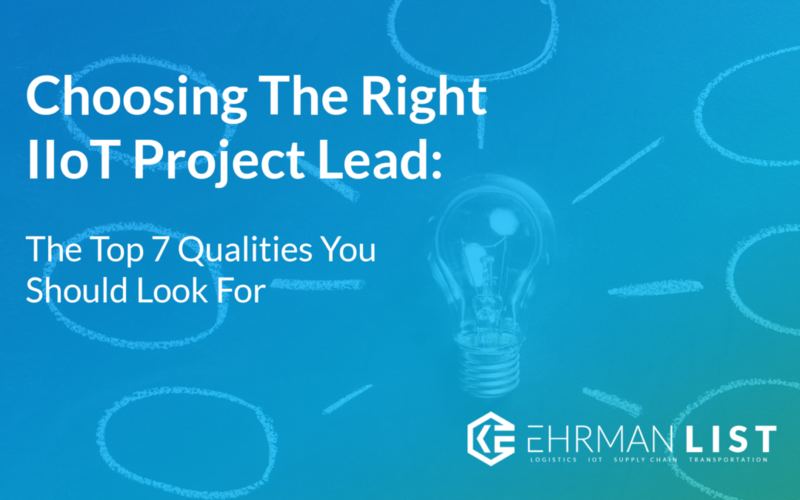 Select someone who has a proven history of successfully leading projects. The experienced leader will be given the benefit of the doubt by peers when the project takes longer and costs more than anticipated. They will need to be persistent. A successful history brings confidence for all involved in the project because of the candidate’s qualifications and knowledge of your company’s strengths and areas of improvement. Do not select someone from outside the company, because there is no way an outsider could know how business is really done as well as someone with 25 years of experience in your company. Perhaps the most important quality to pay attention to is the executive’s level of influence. Expertise in certain areas can be brought in by enlisting a great advisor or contracting a specialist, but the influence brought to the table by a trusted executive results in necessary trust and direction. It’s often difficult to affect change in a company—especially a large company. Employees are typically set in their ways and change is threatening, especially to long-time employees with firmly established routines. The person who leads the IIoT project must have influence in all affected areas of the business, as well as the support of top management. To gain that support, they need to be good “salespeople”, evangelizing the benefits that will be obtained and pushing through the roadblocks and obstacles he/she will face by promoting the vision of the final solution. While these qualities are essential at the top level of your IIoT project, hiring an outside consultant is worthwhile. This person doesn’t lead the project, but provides insight and suggestions. The outside consultant should have ample experience and a proven track record with successful IoT projects, enabling them to provide relevant guidance for your internal project lead. Finding as many qualities listed above as possible will point to the right leader to run your IIoT project. By following the guidelines above and using the 5-Step Process I’ve outlined here, you will undoubtedly see tangible improvements to your business from beginning to end. Pittman, Kagan. “Are U.S. Companies Adopting IIoT en Masse? .” Are U.S. Companies Adopting IIoT en Masse? > ENGINEERING.Com, Engineering.com, 27 July 2017, www.engineering.com/AdvancedManufacturing/ArticleID/15350/Are-US-Companies-Adopting-IIoT-en-Masse.aspx. Accessed 28 July 2017. Omnitracs. “The ELD Mandate: A Trucking Industry 101.” ELD Facts, Omnitracs, 2017, eldfacts.com/eld-mandate/. Accessed 18 Aug. 2017.